But it is still Today. It is always today if you think about it. Present. 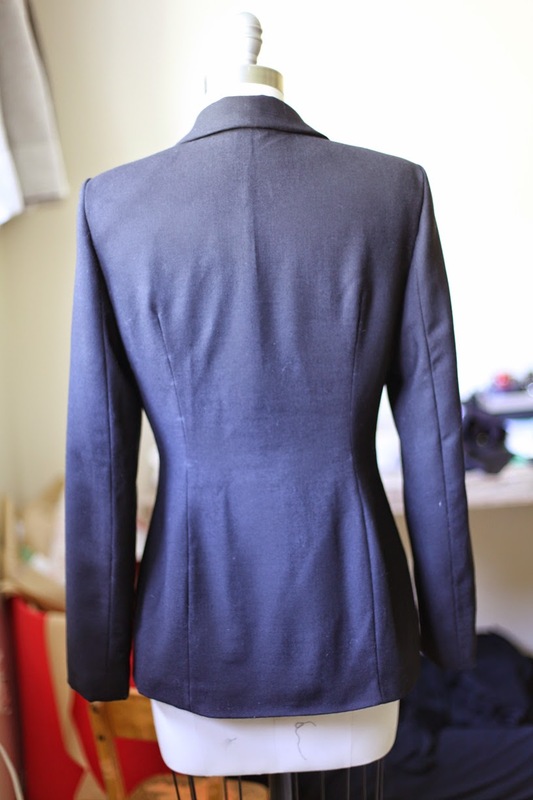 Just post some pictures of some Tailored jackets that I did during the summer. Students' final projects for garment construction course, I suppose. How much do you have to love this subject in order to study , to finish some homework, that is not even your own size... I just wonder. So it is very reasonable, even smart if you pay other people to do it for you. I, for one, absolutely think it is a great idea. Save some time, enjoy the summer. 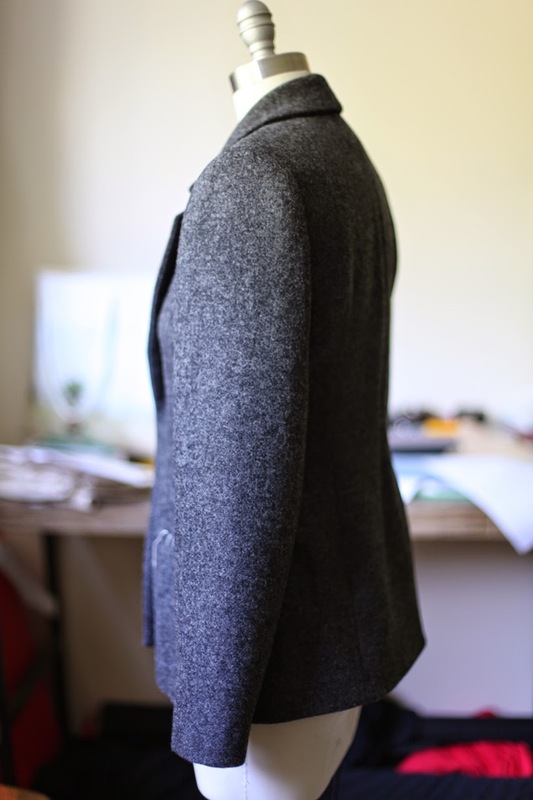 I like to look at tailored jackets and coats...But I don't like wear them. Not comfortable or maybe I have an irregular body shape. Women tend to blame themselves for things. Often I let a girl try on a piece of cloth and ask her if the thing is comfortable or not. She would say, I am too big, or my arms are too short. Something like that. I won't say I am a tailor. I am not a man first of all. But I was called "our tailor" for a long time when I was working in our store, my friend's , to be exact. She was my boss and now stays a friend. I was the seamstress, but they kept using the word "Tailor". a few words more about Jackets. Even all men in my life hate tailored jackets. I believe it is just because they don't get the chance to own the nicest ones. I have to blame them, not the Tailored Jackets which I chose to respect. For I have to respect the skills ,time and mechanics that are involved in the making of them. You are totally right us women tend to inexplicably blame ourselves for and excuse ourselves for things no one should ever do. Your post reminded me of "In my chair -- a makeup artists perspective on beauty: Eva DeVirgilis” lecture on TEDx ! Quilted jackets are use just lifestyle and also give warmth in cold day.